Dr. Ellis is Chair and a Professor of Surgery in the Depanment of Oral and Maxillofacial Surgery, having joined the faculty at The University of Texas Health Science Center at San Antonio in 2010. He came from The University of Michigan where he went to dental school and trained in oral and maxillofacial surgery prior to joining their OMS faculty. From 1988 until 2010, he was the director of the UT Southwestern/Parkland OMS residency in Dallas. Dr. Ellis’ clinical interests are in maxillofacial traumatology and dentofacial deformities. In addition to chairing the department, he maintains an intramural practice. His research interest in the 1980s was in stability of surgical correction of dentofacial deformities by oithognathic surgery. In the 1990s, his research has involved the functional aspects of oithognathic surgery. Since moving to Texas, he has also performed clinical investigations into the outcomes after treatment of facial fractures by various techniques. He has authored over 200 scientific anicles and two books. 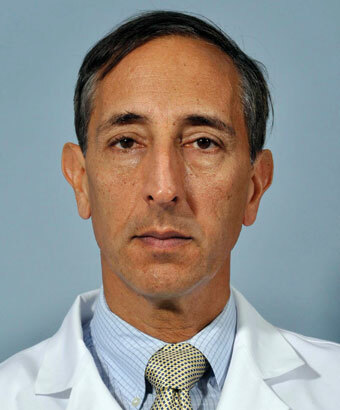 In 1997 he received the American Association of Oral and Maxillofacial Surgeons (AAOMS) Research Recognition Award for his research endeavors and in 2015 received the ﬁrst AAOMS Clinical Research Award. Dr. Ellis is active nationally and internationally in the specialty of oral and maxillofacial surgery. He is the past President of the American Board of Oral and Maxillofacial Surgery. He has been on the Editorial Board of The Journal of Oral and Maxillofacial Surgery for several years and is the section editor OMS Trauma. He has also been on the editorial boards of the International Journal of Oral and Maxillofacial Surgery, The British Journal of Oral and Maxillofacial Surgery, The Spanish Journal of Oral and Maxillofacial Surgery, The Journal of Craniomaxillofacial Trauma, The Chinese Journal of Practical Stomatology, and Archives of Facial Plastic and Reconstructive Surgery. In addition, Dr. Ellis has served on several committees of the American Association of Oral and Maxillofacial Surgeons. In 2004, he was elected to Fellowship in the Royal College of Surgeons of England.